Probably what happened in Damascus – the rebels will lose. …But the rebels look to be doing well on TV? That’s because they are winning the propaganda war better than the real war. …But why is the Syrian army shelling its own people? Filed under: Uncategorized, War on Syria | Tagged: Uncategorized |	Comments Off on "What will happen in Aleppo? Probably what happened in Damascus – the rebels will lose!" Israel treats children like adults. Only two countries impose life without parole (LWOP) sentences on minors – America and Israel. children deprived of liberty shall be treated with humanity and not subjected to torture or other abusive or degrading treatment. Israel spurns CRC and other international law with impunity. Studies document it. A new one conducted by the UK Foreign and Commonwealth Office (FCO) titled “Children in Military Custody” discussed horrendous abuses. From September 10 – 17, a delegation comprised of nine lawyers visited Israel and the West Bank. They included a former attorney general, a former appeals court judge, and several lawyers known as QCs. They evaluated how Palestinian children are treated under Israeli military law. at age 16, minors become adults. They’re abusively treated. They’re prosecuted in military courts. In practice, they don’t differentiate defendants by age. Children 12 and under may be imprisoned. Parents and legal counsel aren’t permitted with them during interrogations. Offenses most often allege stone throwing. Many youths are falsely charged. Israel doesn’t dispute that “major differentials (exist) between the (military) law governing the treatment of Palestinian children and” how civil law treats Israeli youths. FCO determined “undisputed facts.” At least six CRC provisions were violated. 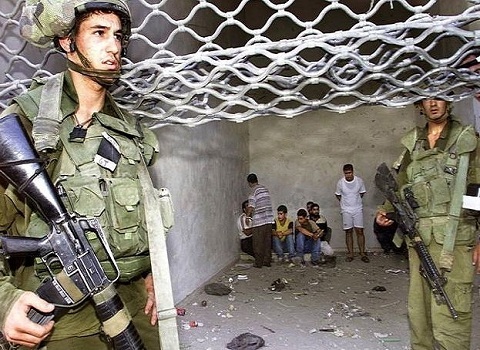 Most Palestinian minors are arrested pre-dawn at home. Heavily armed soldiers accost them. They’re painfully tied or shackled. They’re brutalized and intimidated during arrest, transfer and interrogation procedures. FCO’s report documents grievous international law breaches. Cruel, inhuman and degrading treatment is policy. So is institutionalized racism. 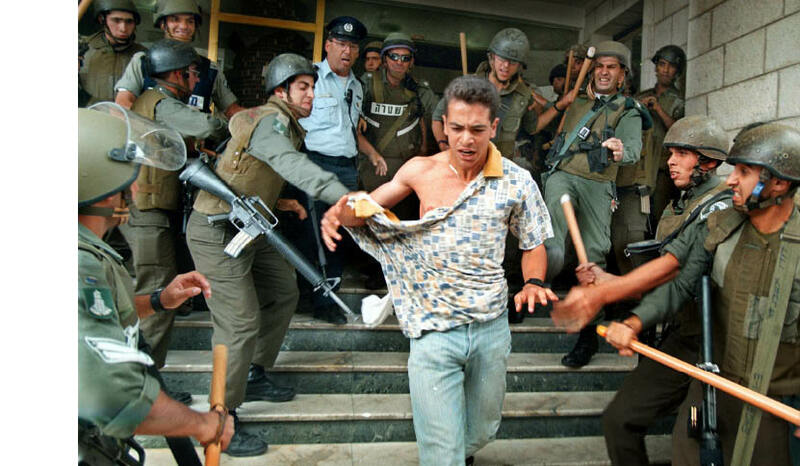 Israel gets away with appalling crimes because world leaders don’t intervene. Public outrage has the best chance of pressuring them. Studies alone change nothing. Appearing on CNN’s GPS with Fareed Zakaria, American Enterprise Institute (AEI) scholar Paul Wolfowitz, who has been a proponent of taking military action against Syrian president Bashar al-Assad’s regime, reiterated his stance that Syria is not Iraq.“I think Iraq and Syria are almost completely different situations,” said Wolfowitz in response to a question about the mistakes from Iraq’s post-war period.Wolfowitz, who was one of the chief architects of the Iraq invasion and post-war planning as Deputy Secretary of Defense under Secretary of Defense Donald Rumsfeld said, for one, there would be no American ground troops necessary in Syria. “Syria is going to be governed by Syrians, and I don’t see why people are so comfortable saying we shouldn’t be arming them, but it’s okay for Islamic, Islamist governments in the Persian Gulf that don’t share our objectives — it’s okay for them to be arming them,” said Wolfowitz, alluding to reports that Iran continues to send arms to Syria.“I think trying to shape the political agenda of that future Syrian government is very important,” he said. SEE.. LIST-ISRAHELL AND ZIONAZIS WANT ASSAD OUT-FACT! PROOF! ‘Syria’s ‘rebels’ have miscalculated: "They will pay heavily for this error!" “… IMO, the rebels have miscalculated. Their force has not “evolved” enough to confront significant conventional forces in an urban environment or anywhere else that the conventional forces can “pin” them in place against terrain or some other obstacle. They will pay heavily for this error. They will lose a lot of men, and be driven from the city. Following that defeat IMO the Syrian millitary will move further north and northwest to regain control og the “sanctuaries” on the Syrian side of the border with Turkey. They will succeed in doing this unless Turkey intervenes directly in the fighting. Filed under: FSA, Turkey, War on Syria |	Comments Off on ‘Syria’s ‘rebels’ have miscalculated: "They will pay heavily for this error!" A pro-Syrian Arab diplomatic source confirmed that Turkey has received, during the past couple of hours, a strict Iranian letter warning it of “changing the game rules” in Syria. In an interview with Syrian daily al-Watan, the Arab source said that this warning comes as a clear response to the latest threats posed by Turkish Prime Minister, Recep Tayyeb Erdogan, claiming that his country will target Kurdish combatants inside the Syrian territories. Also, the Ankara-based Arab diplomat, whose country’s government supports the Syrian al-Assad regime, said that Ankara had been preparing, in agreement with Washington, for a military interference in the Syrian crisis; under the pretext of Kurdish population. However, Iran drew a line for the Turkish dreams, and informed it that any attack on the Syrian territories will witness a harsh attack; as Iran might put into force the mutual defense agreement signed with Syria, the source iterated. Furthermore, the Arab diplomat went on to say that Turkey agreed with the US that a limited military interference in North Syria, especially in Aleppo, might introduce a buffer zone to be protected by the gangs funded and armed by Turkey, in cooperation with Qatar and Saudi Arabia. The said scenario however would be implemented only if the Syrian refugees in that area were evacuated, especially as they have become a burden on Erdogan’s government; although they were supposed to be exploited to lead a UN resolution, imposing international sanctions on Syria. They told me that they burn non-Syrian bodies, to hide the presence of non-syrian fighters… When Kuwaiti Abu Mohamad died, they kept his body and called his family and asked for money to get the body from regime thugs. في لقاء اجرته وكالة ليبيا الآن للأنباء مع احد المقاتلين العائدين الى ليبيا من سوريا، فقد صرح .حازم.م. المسؤول الاختصاصي في المتفجرات لواء طرابلس، عن مشاركته في المعارك في سوريا الى جانب الثوار في الجيش السوري الحر. وقال “دخلت سوريا منذ شهرين للجهاد ضد نظام بشار الاسد الى جانب الاخوة في الجيش الحر،عن طريق تركيا وعند وصولي اخد جواز سفري ضابط تركي وادخلني بعض الشرفاء الى داخل سوريا (تسلل) والتقيت العديد من المجموعات التى تقاتل وكلها إيمان بالنصر، وعملت ضمن قطاعي التفجير والتدريب وتجهيز العبوات الناسفة التي كنا نزرعها لقتل كتائب الاسد”. وأضاف حازم “كان مقرنا الرئيسي مدينة حمص، وبعد ان اشتدت المعارك هناك انتقلت انا وبعض المجموعات الى مدينة حماة، للعمل الى جانب كتيبة عمار ابن ياسر، وتفاجئة بما شاهدته هناك حيث كانت الكتيبة من جميع الجنيسات العربية، والافريقيه، وصنعنا اكبر الانتصارات، ولكن ما جعلني اترك ساحة المعركة هي طريقة التفكير التي بدأ يعمل بها الثوار هناك، فعندما يسقط شهيد في صفوفنا، يحرق او تباع أعضائه أيضا حسب الجنسية، فاذا كان من المقاتلين الافارقة يقومون بحرق جثة الشهيد، وعندما سألت عن السبب قال لي ابو حمذه وهو القائد العسكري لمدينة حماة هذا احتياط لكي لا يستغل النظام وجود جنسيات مختلفة ويقول أننا نحارب بمقاتلين غير سوريين”. وأكمل “بداية الامر لم اعلق لانني اعلم ان الشهداء يدفنون في الجنة، ولكن عندما استشهد معنا ابا محمد، وهو كويتي الجنسية لم يقوموا بحرق جثته بل وضعوها في مكان معزز ليتصلوا بعدها باهله ويطلبون مبلغ من المال ويقولون لأهله ان قوات نظام الأسد امسكت بجثة إبنهم وتطالب بفدية مالية، وهذا ما جعلني اعترض وبكل قوة على هذا النهج والأسلوب، وعندما كان يستشهد احد من المجاهدين السوررين يقومون بدفنه دون الحرق، لذالك غادرت الاراضي السورية الى تركيا ومن هناك استلمت جواز سفري من شعبة العلاقات لمجاهدي سورية انا وبعض الاخوة من ليبيا وجنسيات عربية اخرى، وادعو جميع المجاهدين في ليبيا والدول العربية، عدم الدخول الى سوريا، لان ما يجرى ليس بثورة شعبية عندما دخلنا الى سوريا لبينا نداء الجهاد وكنا نعتقد أن الجيش السوري يغتصب النساء ويقتل الأطفال، ولكن ما رأيناه يختلف تماما عن الأخبار التي وصلتنا، والدين الاسلامي يحرم علينا قتل المسلمين، ومن يدير الثورة المسلحة هم في نظري مجرد عصابات لقد طلبوا مني عدة مرات تفجير مستشفى مدني وانا رفضت ذالك بعد ان استخرت الله سبحانه وتعالى وإكتشفنا فيما بعد أنها كانت تضم اطفال ومصابين في السرطان وهي مستشفى تهتم في مجال مرضى السرطان من الاطفال، اشكر الله على نعمة العودة الى اراضي ليبيا كما ادعوه ان تعود سوريا في امن وامان وان يعود الرشد والدين والعقل الى هذه المجموعات”.